When you need flea and tick removal in Allentown, you need Green Turf. Fleas and ticks might not be visible, but that doesn’t mean that they aren’t lurking in your lawn. No one wants to have fleas and ticks in their yard. 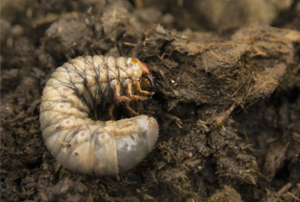 These bloodsucking pests can cause a lot of trouble, from minor skin irritations to the spread of serious diseases, like Lyme disease, and they can put every member of your family at risk, even your pets! If you’ve got a flea and tick problem in your Allentown lawn, there’s no better company for the job than Green Turf. Flea and Tick removal that sets your mind at ease! When it comes to the health of your lawn and your family, you need a company that can mitigate your flea and tick issues so you can rest easy. At Green Turf Care, you can trust in us to resolve your flea and tick concerns. Revive your yard and free yourself from the annoyance and potential health risks of fleas and ticks. When you partner with us, we’ll better control and greatly reduce existent fleas and ticks, in addition to combating and halting new eggs from hatching. To tackle a flea and tick infestation, the Center For Disease Control (CDC) recommends a professional company to treat the infestation with pesticides to eliminate the threats and exposure these pests pose. 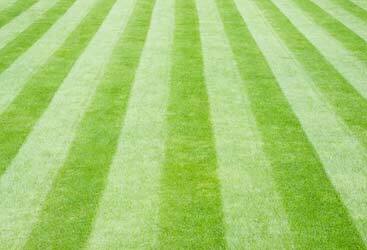 Complement your thick, verdant lawn with flea and tick services from Green Turf Care! If you’ve invested in our lawn treatments for a pristine yard, complement these services with our flea and tick mitigation for the ultimate lawn protection. A custom lawn care plan – When you partner with us, you won’t receive one-size fits all lawn treatment — you’ll receive a tailored plan that addresses the needs of your yard. Elimination of current fleas and ticks – Our first treatment is wonderful for eliminating the current fleas and tick population and as you continue to work with us, the pest control will get better each service. Continuous protection – The more flea and tick services you invest in, the better ongoing protection you’ll have. Fleas and ticks are the worst! 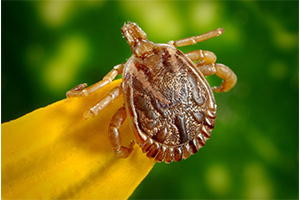 Let us ease your mind of these creepy creatures entering your home and affecting your family’s and pet’s health by investing in our flea and tick services in Allentown. 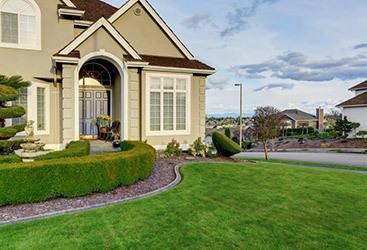 Reach out and connect with us today for a lawn that is impeccable, and bug-free! At Green Turf, we believe that no other company is better equipped to meet your needs than our talented team. We have more than 10 years of experience in providing next-level lawn care solutions for our customers, and we’re dedicated to eliminating your flea and tick problem while also helping you maintain your beautiful, green lawn. Using the latest and most innovative tools and techniques, our experts can help to protect your eliminate existing fleas and ticks and minimize the risks of future infestations, keeping your family safe and allowing you to enjoy your yard to the fullest extent once again. Contact us today for the most effective flea and tick treatments in Allentown. Fleas and ticks may be small, but they can be dangerous for both people and animals alike. Don’t let a flea or tick infestation ruin your backyard paradise. Instead, turn to the experts at Green Turf for the best flea and tick treatment in Allentown and the surrounding areas. Our rates are affordable, and we offer a 100 percent, iron-clad, risk-free, double money back guarantee on every service we provide.